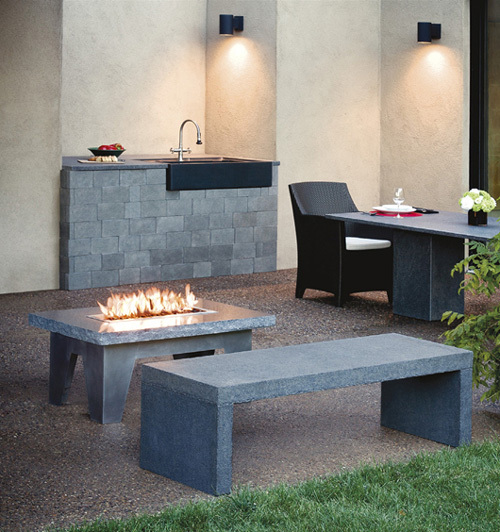 Part of their outdoor collection, granite fire table Vesta by Stone Forest is a perfect way to enhance the mood in the garden of your designer homes. Sitting, gathered around flames is somehow therapeutic, cozy and soothing. 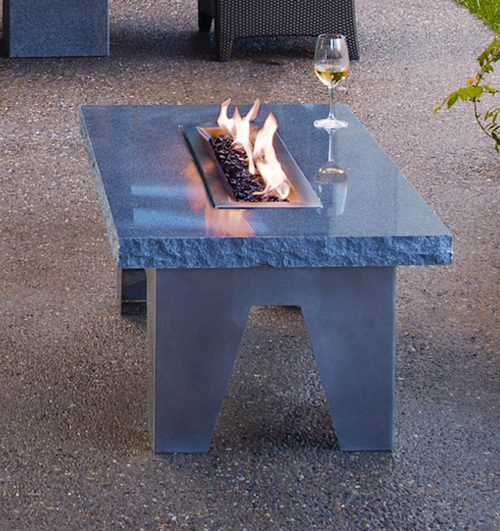 A grey polished granite slab with chiseled sides, carved by hand, sits a top a stainless steel base. The table is industrial, heavy and majestic. It is a highly appropriate piece for a modern outdoor space. Stone Forest refers to their furniture as sculptures. Each one is different since each one is carved by hand. 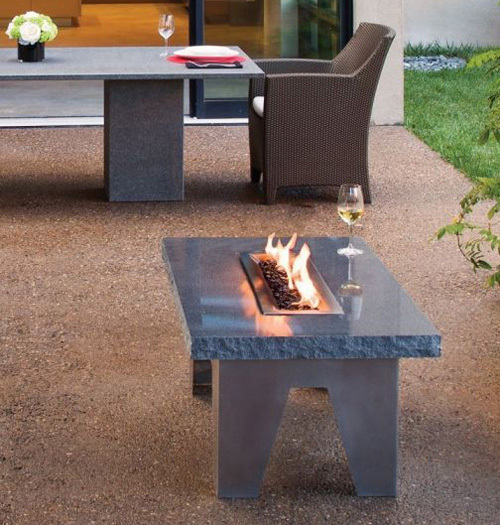 Therefore, you can be sure that the fire table Vesta will be unique for the interior design of your beautiful homes and your outdoor space. Visit Stone Forest for more info on home design, interior decoration and home decor products.